Janine McAullay Bott, Vintage I Bush Truck, Sculpture by the Sea, Cottesloe 2019. Photo Jessica Wyld. Thank you for the invitation and the introduction. I am delighted to be here at the 15th Sculpture by the Sea here in Cottesloe. 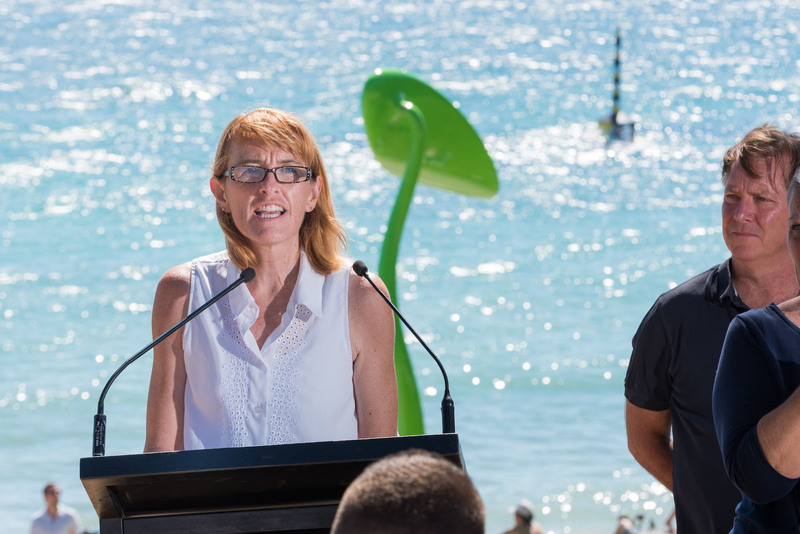 I acknowledge all special guests – and I also want to acknowledge, applaud and thank David Handley, the Board of Sculpture by the Sea, the staff, the donors and all of the volunteers who devote themselves to this event every year. They do it for us – for our enjoyment and benefit – and so, truly – thank you. Celia Hammond, Sculpture by the Sea, Cottesloe 2019. Photo Richard Watson. It showcases our openness and inclusivity as a country: about how we come together in all our difference and diversity. And it reflects us a State and a Nation. 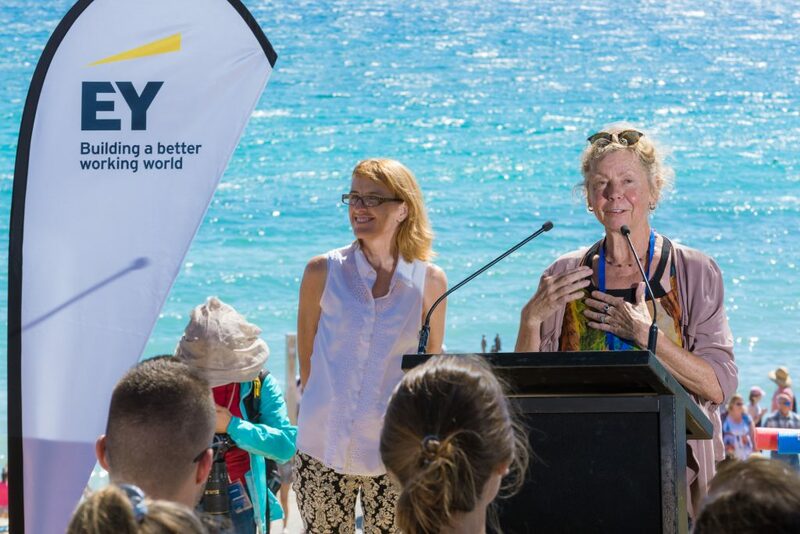 My job today is to announce the winner of the ANDREA STRETTON MEMORIAL INVITATION AWARD: the award is an invitation for the artist to exhibit at Sculpture by the Sea, Bondi 2019. 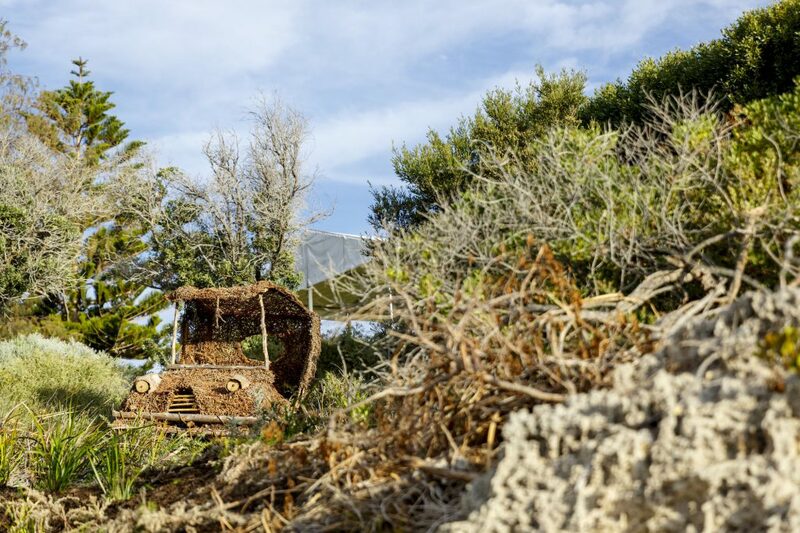 I am delighted to announce that the award is going to WA artist JANINE MCAULLEY BOTT for her fabulous work Vintage Bush Truck. 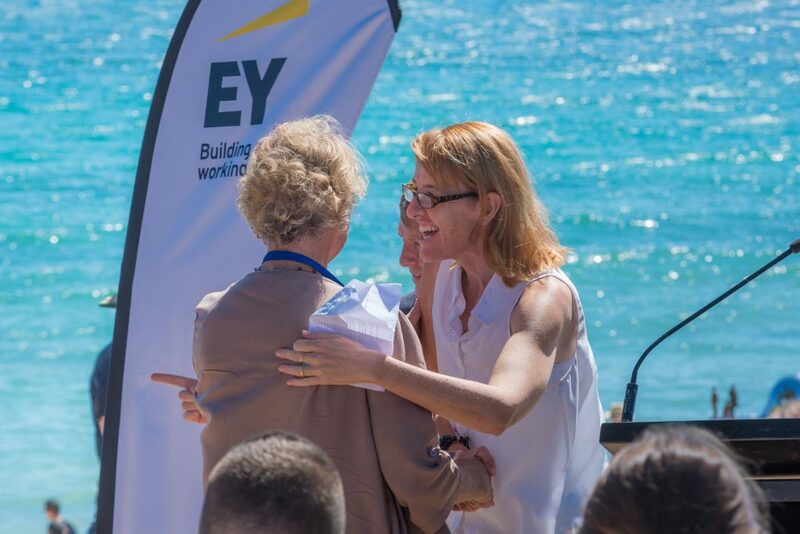 Celia Hammond and Janine McAullay Bott, Sculpture by the Sea, Cottesloe 2019. Photo Richard Watson. 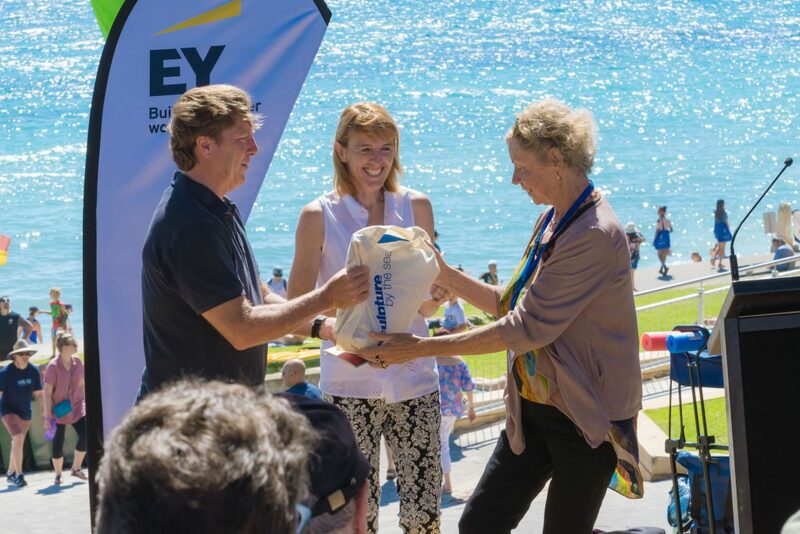 David Handley and Celia Hammond presents the Andrea Stretton Memorial Invitation Award to artist Janine McAullay Bott, Sculpture by the Sea, Cottesloe 2019. Artist Janine McAullay Bott at Sculpture by the Sea, Cottesloe 2019. Photo Richard Watson.